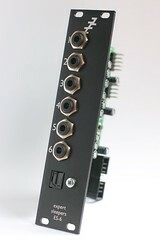 We’re happy to announce two new Eurorack modules: the ES-6 CV/Lightpipe Interface and the ES-7 CV Input Expander. 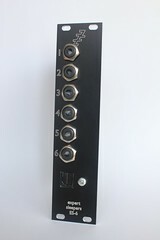 The ES-6 is the counterpart to the ES-3 Lightpipe/CV Interface, offering up to 8 channels of CV input with output via an optical lightpipe connection. 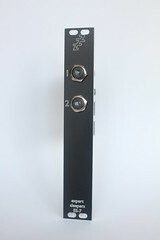 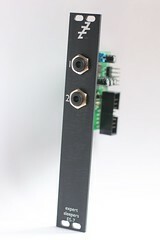 The ES-7 provides two channels of DC-coupled CV input to a connected ES-4 or ES-6 module.